David has a broad background in aerospace management, operations, and testing, specifically directing occupational safety and quality assurance functions. He has focused much of his career on management system implementation and measurement, having assessed several NASA Centers and government installations for both occupational safety and quality assurance program effectiveness. David also has successful experience sharing training programs with management, technical, and academic audiences on a variety of occupational safety and risk management topics. David currently serves as the Assistant to the Director of Safety & Mission Assurance (SMA) at NASA’s Johnson Space Center (JSC) in Houston, Texas. He is responsible for assuring effective governance of SMA regulations and requirements associated with the JSC infrastructure. David also supports agency SMA training and communication initiatives. From 2006 to 2018, David served as the Chief of the Safety & Test Operations Division at JSC. He managed occupational safety programs associated with hazardous test operations, support systems, space flight crew training, and institutional activities at JSC’s main campus, the Sonny Carter Test Facility, Ellington Field, and the White Sands Test Facility in New Mexico. While on temporary detail with the NASA Safety Center in 2012, David delivered a comprehensive training program guiding SMA professionals through the federal acquisition process. He also helped lead a multi-discipline team to revise NASA’s mishap investigation policy and procedures. From 1995 to 2005 David served as Chief of SMA at NASA’s White Sands Test Facility (WSTF) near Las Cruces, New Mexico. In this position, David managed occupational safety, system safety, emergency preparedness, management system coordination, and quality engineering and assurance activities at WSTF. 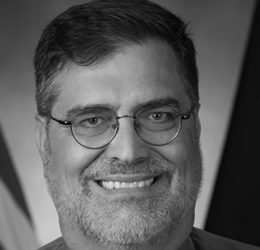 Prior to serving as Chief of WSTF SMA, David served as senior SMA engineer at WSTF supporting spacecraft propulsion test and component failure analysis and repair operations. While at WSTF, David coordinated the site’s implementation and certification to the ISO 9001 Quality Management Standard. He also led efforts to implement the OSHA Process Safety Management standard, and EPA Risk Management Plan regulation associated with site hypergolic propellant operations. David also contributed to WSTF’s implementation of the OSHA Voluntary Protection Program, achieving recognition as the first government installation in New Mexico to earn “Star” designation. David began his aerospace career in 1985 with the Western Space & Missile Center at Vandenberg Air Force Base, California, where he supported Space Shuttle and expendable launch activities. David also serves as an adjunct instructor with the Gulf Coast Safety Institute at the College of the Mainland in Texas City, Texas. He instructs students in Physical Hazard Control, and Safety Program Management. David has also delivered multiple seminars on subjects such as “Facility Risk Assessment” and “Safety Communication” to industry and government professionals throughout the Gulf Coast region. David lives in Friendswood, Texas, with his wife, Natasha, daughter, Lidiya, and son, George.